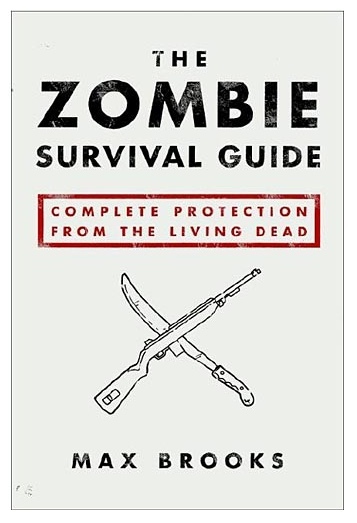 If you’ve decided that you’re going to set up a cozy base away from home where you’ll be bugging out when the zombies hit the road, you’ll probably want to stockpile some potable water in there. We’ve said it time and time again, but you just can’t live for very long without water. Yes, we talk at length, and in great detail, about the various forms of water purifiers available but, the easiest way to purified water is having a big stockpile of it ready and waiting that you don’t need to treat at all. That’s why it’s a great idea to get some durable, food grade plastic containers and fill them to the brim with clean drinking water and to keep it them sealed inside your escape haven. You might even think about throwing a full water can in the trunk of your car, just in case things get weird on the way to work one day. You don’t want to be caught unprepared by a leaky radiator on the day you need to get out of town, right? 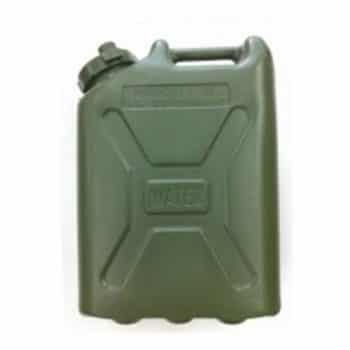 There are innumerable reasons to keep a ready supply of fully prepared (and filled) water canisters on hand at all times. This is an old school design that has stood the test of time. Durable, reliable and safe to drink from, the good old 5-gallon water can has everything you can desire in a water storage unit. The lid screws on and off and makes a good seal to prevent leaks and the BPA-free food grade plastic construction will keep your water safe and contamination free for years to come. So fill ‘er up and lets get busy surviving.